Change your love and life in the comfort of your own home, on your own schedule. Proven exercises and solutions that will change the way you look at and feel about love and life. Real results that last (when you apply what you learn) from instructors who have real experience and real education. Stop feeling the pain of disconnection, loneliness, feeling like there's something more-- you'll start changing your thoughts, beliefs, and actions from the very first lesson. Aren't you tired of just winging it? Created by relationship experts Don & Nicole Nenninger, this comprehensive video series with articles and quizzes, takes you step-by-step through the Nenninger's combined 30+ years of experience to give you all of the knowledge, tools, and strategies you'll need to successfully create a loving, long-lasting, and healthy relationship. 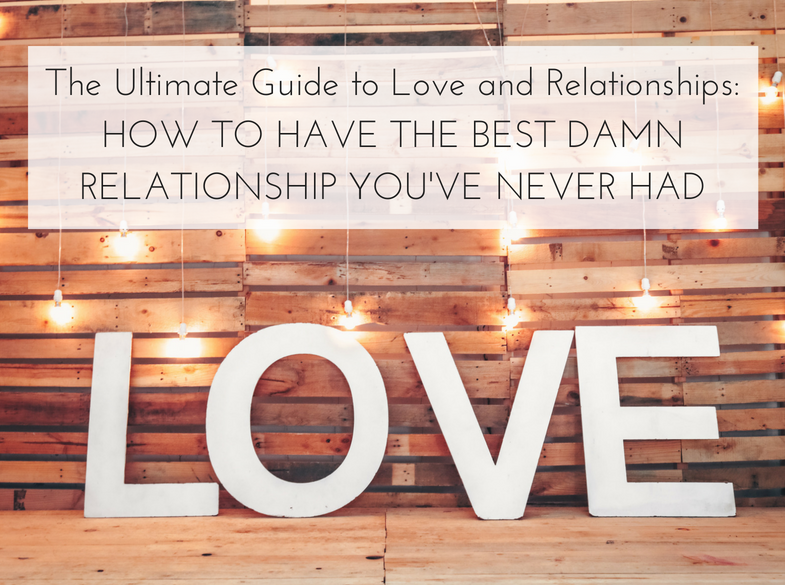 An essential course for anyone serious about loving relationships. Learn how to communicate with compassion and meaning so you can have more love, respect, and connection. Find out how to save your relationship or to determine if the relationship is really right for you. Develop new ways of developing deeper intimacy based on the 12 pillars of a healthy relationship. Learn the importance of identifying your needs, strengths, and sensitivities to create more emotional intimacy. Use proven relationship tips, tools, and strategies to create lasting love. Learn what the toxins are that destroy relationships and how to avoid them. 21 video lectures, 2.5 hours of video and so much more! This is unlike any other divorce/breakup course out there. 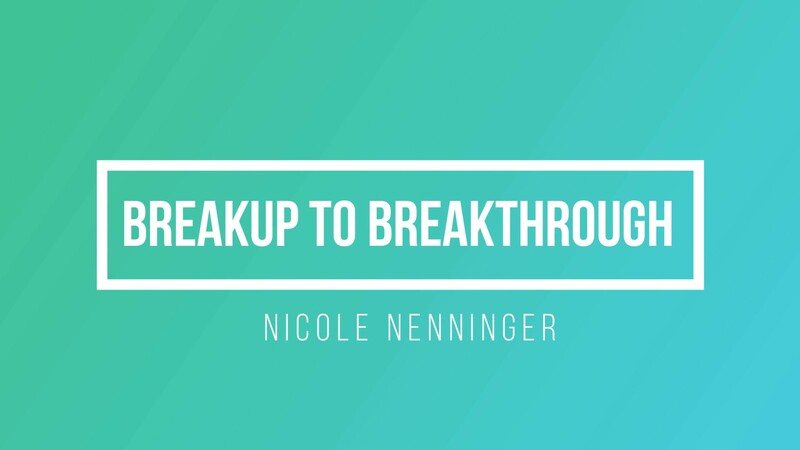 Based on Nicole's extensive background in relationships, psychology, and personal development, she'll show you powerful strategies to create a solid foundation so you can move forward with renewed hope, more confidence and self-esteem, and have a plan of action. Plus, you'll take away tips, tools, and strategies to transform your life and heal the hole in your heart. I'll share with you how to handle the more challenging emotions like anger and sadness in more empowering ways. 33 video lessons, 3.5 hours of video, 9 handouts including the course journal. "Don and Nicole have an amazing relationship course..."
"I'm a client of Don and Nicole's. They let me try out the program before it went on sale because I was in so much pain. I'm in the middle of the course now and I'm excited to watch more of the videos. These guys are incredible! I've already noticed a huge shift in the way I think about my relationship with my wife. I wish I had seen this years ago when we first got married. It would have saved us a ton of pain and misunderstanding." Are you ready to find the Love of Your Life? This higher level of love that many people want, can be difficult to manifest in your life if you don't know how. Want to know what's been holding you back? What you can do to find true love? And, how to hold on to it? Based on the true story of how Nicole and Don met. Learn proven techniques of how to attract your soul mate. Identity the things that are holding you back from having soul mate love. Determine what you want and what you need in a partner and relationship. Do you ever ask yourself how would your life be different if there were no obstacles to love? What if you had the tools to have an amazing relationship? What if you knew how to deal with your heart hurting after a breakup or from conflict? What if you wanted to find the love you deserve? And, what if you wanted to heal your heart and learn to love yourself? ​Your time is valuable. Your life and love are valuable. You want results and you want them to last. You don't want to waste time and effort on information that is old & outdated, doesn't work, and from people you can't trust. Invest in what matters: real results for real people who want real relationships and an inspired life. Listen, watch, read, learn. 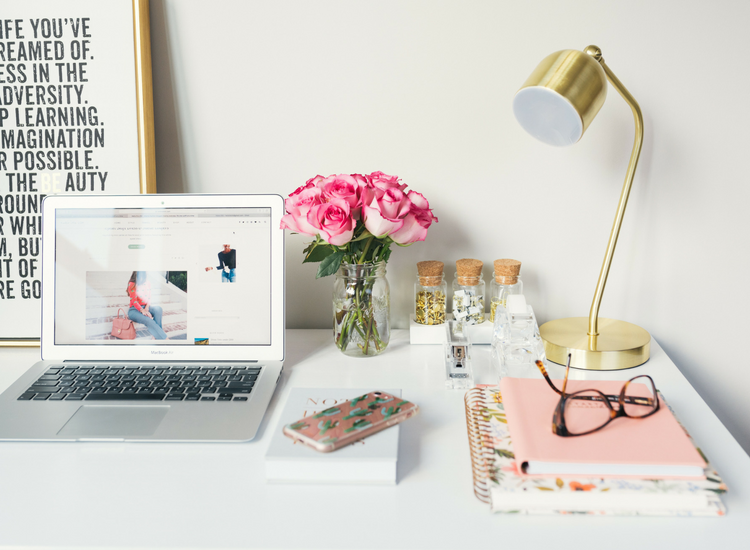 Our courses are designed for your busy schedule. Use your computer, tablet, and phone. Complete the courses in your own time, at your own pace. Original content created for your learning journey in love & relationships, lifestyle, mind & spirit. Improve one area of your life and all the other areas are positively affected as well. According to an ongoing 75-year study out of Harvard, the #1 factor to your well-being and happiness is having great relationships. Life's too short to waste time and money learning things that don't work or you'll never use. "I highly recommend taking this course..."
"I purchased Breakup to Breakthrough because a friend recommended the course. I'm so glad I did. It's helped me change the way I look at my divorce now. I feel hopeful again and I'm actually looking forward to my future. 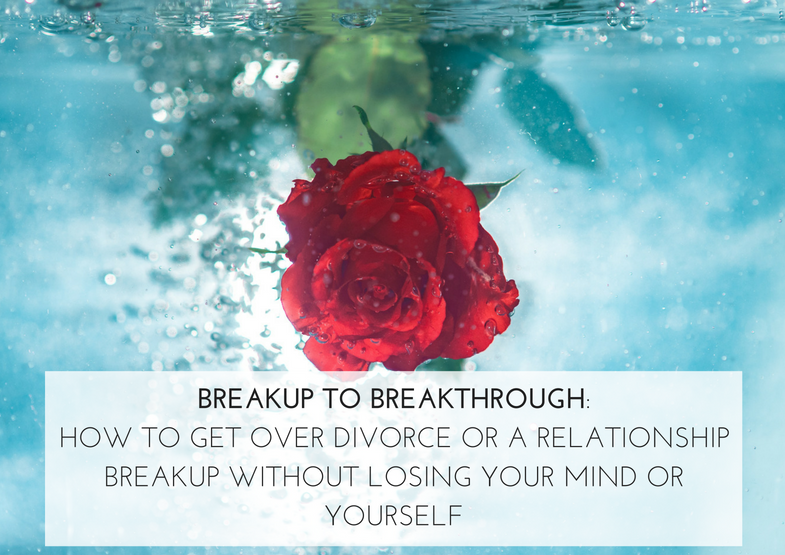 I highly recommend taking this course if you're going through a divorce or a breakup. " 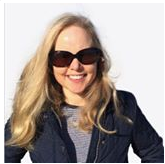 Nicole Nenninger has 2 masters degrees in psychology and marriage & family therapy. She is a former co-host of Living Well, and is the author of Transforming Divorce and co-author of Warrior and Goddess in Love. Nicole has nearly 2 decades of experience helping people with self-esteem and confidence, divorce and breakups, and relationships,. She's worked with hundreds of clients all over the world on issues such as healthy relationships, self-esteem, confidence, and divorce/breakups. She has a private practice in New York. Don Nenninger is an author and co-author of 4 books focused on improving relationships. Don has 20+ years experience helping people design a fulfilling life that centers on loving relationships, abundance, energy, vitality, and uncovering the subconscious stories we tell ourselves. Don has a masters degree in psychology, is a certified school psychologist and as well as a law degree. He was co-host of Living Well a show focused on the ways callers could have better relationships. 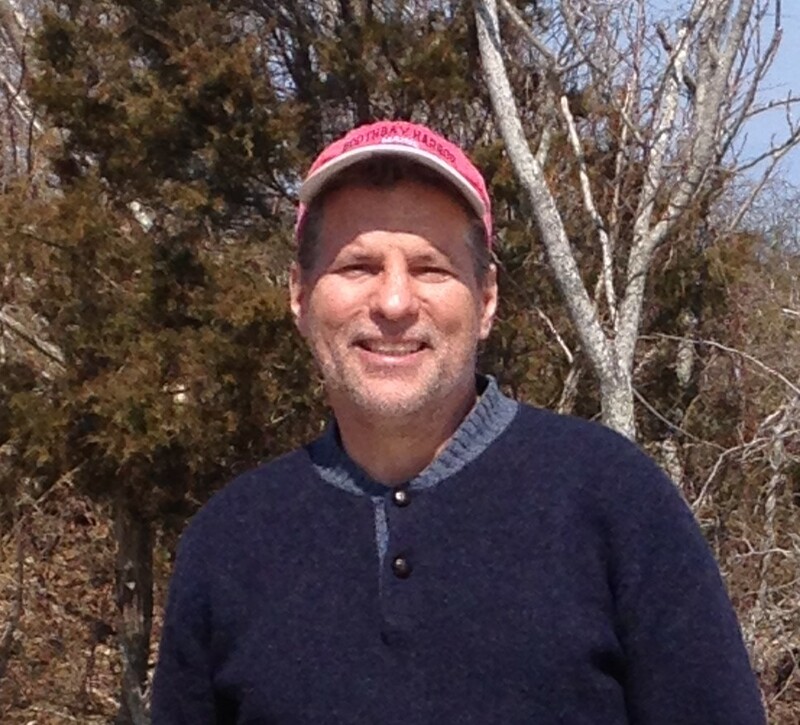 Don has a private practice in New York and works with clients world-wide. You are fully protected by our 100% Satisfaction-Guarantee. Try the course for 30 days. If you don't learn from or love our courses, we will issue you a full refund.